Raising funds for a good cause and making a success of it sounds easy, right? Well, wrong, but if you take these simple tips and tricks on board from the start, things get a lot simpler. Being a fundraiser is hard work and involves doing things you might not think you can. At the end of it though, doing something for others should keep you coming back again for more! In our tech-mad world, the fastest way to spread news is through Twitter, Facebook and Instagram. These tools are mostly ‘free’, but you’ll need to know how to use them to your advantage. If you’re anything like me, you’ll spam all your followers with constant posts related to your cause, and eventually, someone will bite and donate! Jokes aside, though, social media really is king when it comes to promoting your cause. Networking is another big factor. I’ve used many of my professional contacts to get donations for my cause, helping to bring in money for them. And then there are family and friends, whom I’ll talk about more further down. Abandoning a baby is never an easy decision for a mother, and nobody is in a position to judge, so regardless of the circumstances, Door of Hope is a place where hope is offered. When you start your fundraising journey, you need a team on board with you. You can’t do it without the support of your partner, family or friends. They are the people who will like and share your posts on Facebook, again and again. 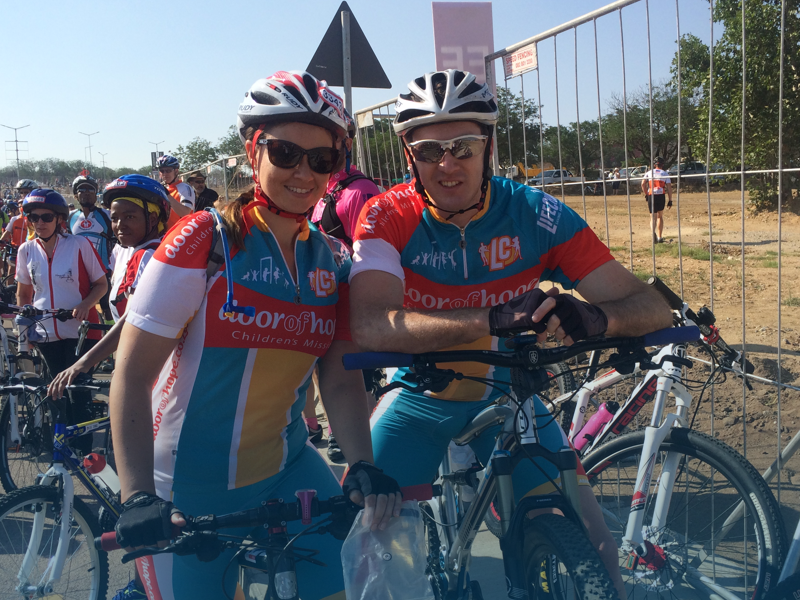 They will be meeting you at the finish line of that race you cycled to raise awareness. And, most likely, they will be doing the donating. I also believe a little goes a long way, so if you inspire one person to donate, chances are that person will inspire another person, and ultimately you’ll reach your goal. Finally, fundraising never ends. Being passionate about the organisation you support means your support is something you do from the heart, and if it means begging and pleading for those funds, so be it. I’m an active charity supporter and donor for Door of Hope Children’s Mission. My name is Veronica Holliday and I’ve been using GivenGain since 2012. To help Door of Hope to save abandoned babies I’ve raised funds through my cycling and by donating my birthday. Find out more about Door of Hope Children’s Mission at http://doorofhope.co.za/.